Candidates are Scott Tipton (incumbent R) and Diane Mitsch Bush (D). Scott Tipton is a four-term R incumbent. He also served one term in the CO House of Reps. He has a BA in Political Science/History from Fort Lewis College. He has been a small businessman, co-owning a pottery company in Cortez, and has been active in local and statewide Republican party activities for decades. He is a typical Trump-supporting and socially conservative R, having voted with Trump 96% of the time. While in the CO House, he voted against legislation to encourage Xcel Energy to shut down 3 coal units and against expansion of CO’s renewable energy standard. In Congress he has voted: against a bill to require Trump to release his tax returns to the Ways and Means Committee; for a bill that would have made it easier to sell federal public lands; for the repeal of Obamacare; for the tax cut bill of 2017 and Omnibus spending bill that, together, add up to $3 trillion to the national debt even while he rails against the size of the national debt; for concealed-carry reciprocity; for the Pain-Capable Unborn Child Protection Act; for penalties on sanctuary cities; for overturning a stream protection rule promulgated by the Obama Administration; for the Goodlatte conservative immigration bill and against the compromise immigration bill. He says he opposes any “amnesty” for illegal aliens, opposes abortion, is a member of the NRA, favors greater relief of farmers from federal regulation and believes that any federal land designation must originate at the local level. He won his 2016 election by 14 points over a strong D challenger. He ran unopposed in the primary just held. Financially, he has received substantial contributions from securities and investment, commercial banking and real estate interests. He had $625,000 cash on hand in early June. Bush, from Steamboat Springs, is a three-term incumbent in the CO House of Representatives. She has a BA and Ph.D in Sociology from the University of Minnesota, was a Professor of Sociology at CSU and before that, the University of Arizona, for most of 27 years and has been a member of numerous boards and committees at the local and state level. She was Colorado Livestock’s and Rocky Mountain Farmers’ Union’ Legislator of the Year in 2015 and achieved Legislator of the Year from Colorado Conservation in 2017. She is pro-choice; she is a strong opponent of the congressional tax cut bill of 2017 as a giveaway to the top 1% and multi-national corporations; she says that she will support a constitutional amendment to overcome Citizens United and will work to rein in dark money in Congress; she wants to take some of the money diverted from the federal treasury by the tax-cut bill and use it for infrastructure; she believes that federal education standards should apply to the states, but she worries about unfunded federal mandates when they are applied to rural schools; she supports government support for renewable resources, regulation of greenhouse gases, implementation of a carbon fee and dividend and a return to the Paris Climate Agreement; she supports fixing Obamacare and that we should be on the path to single-payer; she opposes the Wall and wants a clean DREAM Act; she disapproves of a go-it-alone foreign policy and is a very strong proponent of women’s rights; and has an F rating from the NRA. Her votes in the CO House have been progressive, such as voting against conversion therapy for minors and in favor of rooftop collection of precipitation (a big deal in dry CO). Clearly, she is a long-time progressive, and I know her to be energetic and with a strong work ethic. She has received contributions to her primary campaign from a wide range on interests, including a progressive PAC, a couple banks, even Exxon and Koch industries (both less than $10,000). She had $139,000 cash on hand in early June. Description of District: At 50,000 square miles, this is CO’s largest district. It extends from the NW corner of the state to the border with New Mexico, east through Pitkin and Gunnison counties and, to the south, through Pueblo. Its population centers are Pueblo and Grand Junction, but it also includes Durango, Gunnison, Aspen, Crested Butte, Telluride and Steamboat Springs. It is said by Wikipedia to be 65% “urban,” the remainder “rural.” Grand Junction is strongly R. Pueblo, with a large Hispanic population, has traditionally been a D redoubt, but it voted narrowly for Trump in 2016. The district’s ethnic make-up is mostly White but with many Hispanics and smaller numbers of Native Americans, Blacks and Asians. Household Median Income (HMI) in 2016 was said to be $51,000, neither poor nor wealthy when compared with districts I have analyzed to date. Trump beat Hillary by 12 points in this district in 2016. It has a Cook PVI of R+6 (meaning that its electorate is 6% more R than the average of US districts in the last two Presidential elections). As indicated, Cook says this race is “solid R” this fall. D and R House Reps have traded this district off every few years since its was created in 1915. So, there is nothing in the past that says a D cannot win in District 03. 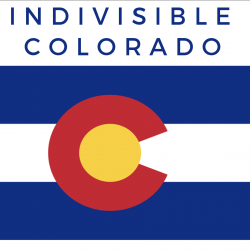 Summary: Diane would be a great improvement in representation of District 03 in Congress, a district of broad diversity with pockets of strong progressivism, such as Aspen, Durango and Crested Butte, but also Trumpism where ranching and fossil fuel extraction dominate. She has a tough race ahead of her, as Tipton is a clever politician and has about 4.5 times as much cash on hand as she does. In my view she deserves and needs the support of progressives everywhere. She has the energy to surprise the pundits in 2018. Coffman is a five-term R incumbent. He has a BA from Colorado University and spent a year at the JFK School of Government at Harvard. He has an extensive background in the military, having served in the US Army on active and reserved duty, then in the US Marine Corps for about ten years as Major and, later, as a Civil Officer. He was President of Colorado Property Management Group and is a member of several military, religious and commercial groups. In Congress he is a member of the Tea Party and Balanced Budget Amendment Caucuses. His statements on some issues reflect subtleties that many other Rs in other districts do not show. For example, on Obamacare he wants to maintain parts of it but give states more discretion. He accepts the reality of climate change and the need to reduce carbon emissions. He supports legal status for adults in the country illegally and who have not committed any crime, he signed the recent discharge petition to debate immigration in the House, and on DACA he supports a path toward citizenship, although it is long and tortuous. Yet, on votes, he has supported Trump 95% of the time. He voted “yes” on the tax cut bill of 2017. He was a “yes” on concealed carry reciprocity, on the Pain-Capable Unborn Child Protection Act, was a sponsor of the Balanced Budget Amendment to the Constitution, a “yes” to overturn the Obama-era stream protection rule, “yes” to postpone compliance by the states with the 2015 ozone standards; “yes” to defund Planned Parenthood; and “no” on the Goodlatte immigration bill and “yes” on the compromise bill. His major financial supporters include Leadership PACs, oil and gas, real estate and securities and investment firms. He has defeated two strong Ds by almost 10 points in the last two elections. He had $1.4 million cash on hand in early June. Crow is a lawyer, a partner in the Denver law firm Holland and Hart. He has a BA in Behavioral Science and pre-law from the University of Wisconsin, Madison and a J.D from University of Denver law School. He was an Infantry Officer in the US Army for five years and then Assistant Chief of Staff, CO Army National Guard. He served three combat tours in Iraq and Afghanistan and was awarded a Bronze Star from the US Army. He is also on the Board of the Denver Police Foundation and served for five years on the CO Board of Veterans’ Affairs. Crow has never held political office, so there are no votes to review. However, his website contains a detailed exposition of his positions on the main issues to a subset of which I turn here. On Campaign Finance Reform, he says he will not accept either dark money or corporate PAC money; he’ll support the Disclose Act, requiring disclosure of all sources of campaign revenues; and he’ll support a constitutional amendment to overturn Citizens United. On Education, he says he will support legislation to make it easier to re-finance student loans and provide loan forgiveness for people who go to work in the public sector. On Environmental and Energy Policy, he believes that climate change is a “severe threat to the planet…” and, in DC, he would fight to re-commit to the Paris Agreement, implement the Clean Power Plan, bring evidence-based decision-making back to policy formulation and promote a transition to 50% clean energy by 2030 and 100% clean energy by 2050. On Guns, he will work to expand national background checks, prevent concealed-carry reciprocity and ban assault weapons. On Healthcare, he supports moving toward a public option and fixing Obamacare, not repealing it, in the interim. On Immigration, while he wants to secure the border, he opposes the Wall, supports a path to citizenship for Dreamers and for other unlawful aliens, including a fast track for those who have served in the military. He is very strong on LGBTQ Rights and is worried about the efforts of state legislatures to undercut them. Finally, on Women’s Rights, he is pro-choice, will work to guarantee access to contraceptives and equal pay for equal work. In short, he is a strong progressive, no ifs and or buts that I can see. Summary: Coffman is mostly a Trumpster. Crow is the opposite. Crow has a good chance to win this race, but so we thought did Coffman’s last two challengers. Coffman is a hard worker come election time, and he is clever. Crow seems the same, but he will need an infusion of resources to overcome Coffman’s financial advantage and the certain new support he will get from oil and gas and other special interests in the campaign. So, if you like Crow in District 06, support him.